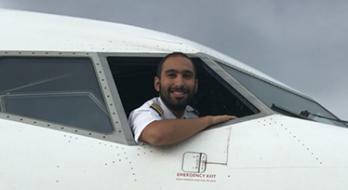 "My training at Skies Aviation Academy has been the best experience for me so far! 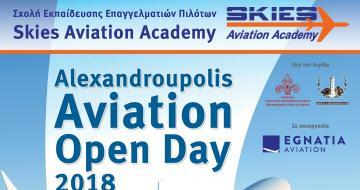 Professionalism is not a word in Skies Aviation Academy but a law, the training I've got raises up to the highest standards and the staff beyond this level.From the second I arrived in Greece I was helped to settle in to the area during my training also every single thing that had to be solved has been taken care of by the staff of Skies Aviation Academy. " 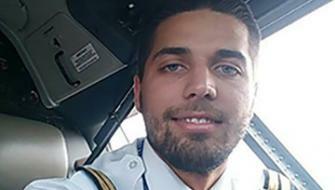 "I am glad to have crossed roads with the instructors of SKIES Academy. 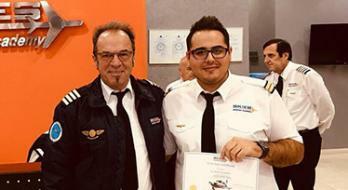 Their professionalism and high standards helped me achieve to the limit of my performance, and gave rise to an aviator' s culture that I will carry with me for ever." 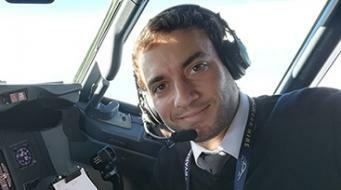 " I had the great luck to complete my professional training at Skies Aviation Academy. Not only I was trained by the highest training standards, I was given the chance to finish everything in minimum time and minimum hours. 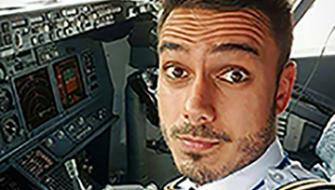 My interaction with the people of Skies Aviation Academy has been an amazing experience. " 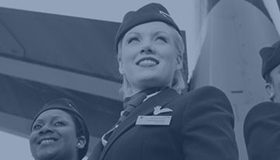 " I just wanted to say a big thank you to everyone at Skies for making my time there really enjoyable. 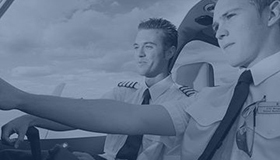 I recommend anybody who is thinking about revalidating or renewing their license to go ahead and do it with Skies Aviation Academy !! 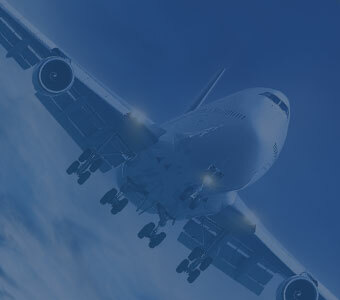 Skies offered the best price and the course was finished on time without any delays. Skies took care of all my transportation and accommodation needs while in Greece, making it very easy for me. Very friendly staff/instructors/examiner and of course flying in Greece is as spectacular as always with such beautiful scenery. Keep up the good work guys! " 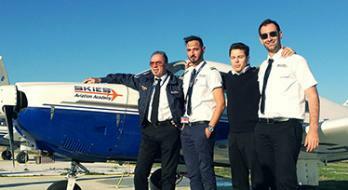 "Doing my training at Skies Aviation Academy in Thessaloniki has been a very good choice. The school provides a good Infrastructure, staff are very friendly and professional and were always helpful in every situation. 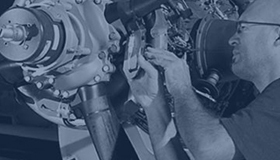 I was able to complete my training in the time I had planned and learned a lot from my Instructors. In addition, having Thessaloniki Intl. 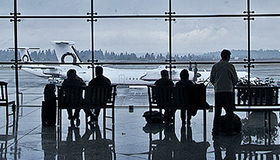 Airport as the home base certainly is of benefit as you have to operate in a professional environment from the first flight on." "My experience at Skies was something i will never forget. 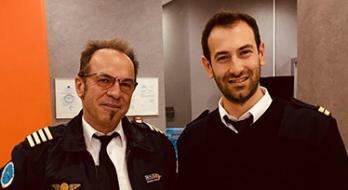 I did my CPL/ME/IR there which for a Commercial Pilot is a very important step.The instructors are very experienced, professional and with a friendly attitude offering the trainee a multitude of knowledge!" 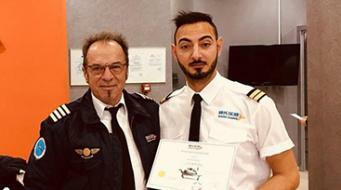 "SKIES AVIATION ACADEMY IS A GREAT TRAINING ORGANISATION, I must say that completing my flight training in skies aviation academy has been by far one of the best experiences in my life. I have nothing but nice things to say about the instructors and the administrative staffs and all my colleagues. They treated me as part of the family, and from the very first day I felt welcomed into this awesome family. 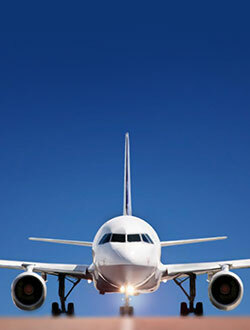 I experienced Great quality of training with well-maintained fleet of modern aircraft in a very professional environment. 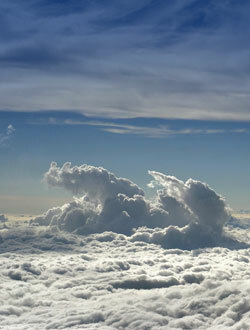 I will recommend skies to anyone who is passionate about flying “. 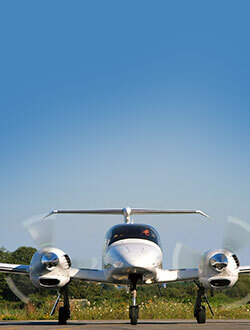 "I was at Skies Aviation Academy for a type rating on beech 90 and I really enjoyed it. The team was really nice and friendly, the instructor was professional and with a big experience. 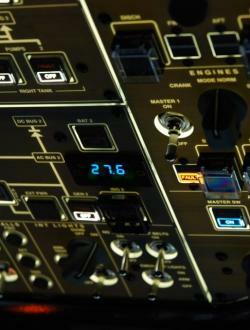 Nowadays I have a job in africa and i do my first real hours on king air. Thanks again for the course and to all of your team."